The Cold Open Piggy/JGL duet-disaster actually played out well, was actually the sort of thing you might have seen on the old The Muppet Show, only this time filmed in the more modern idiom. I though that worked well, and I loved JGL's performance of concern during the song. I was, of course, expecting Gonzo to say exactly what he said, and felt rewarded for expecting it. Still appreciating the character development. See, here's the thing... I have a pretty strong ability to suspend disbelief, oddly enough more so when muppets are involved... but then some part of my brain thinks "wait, what just happened there with that piece of fabric and wire and hands?" And the past few episodes have been total "wow, man, WTF!" moments. And I shall go back and watch again and comment. Because WOW MAN WTF! Like, for example, the moment when Dudley gets Gonzo's suit zipped up. The timing on that is so perfect I'm giggling to myself thinking about it. They're trying to make Chip more real. I think this is a good thing. They're quite dedicated to him, and I'm willing to accept him if they can make him less of a cypher and stereotype. I note: Dave Grohl's leg seems to have healed? Or is this more Muppet magic? 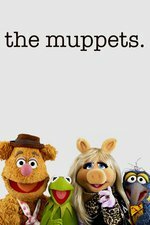 I think I can say, having watched this twice now, that I didn't feel at any point that any of the Muppets were acting out of character, as I have grown to know them over the past, um... 40 years of my life? I didn't feel that way with the early episodes, but as I stated earlier, I will do a rewatch once this half of the season is done. For some reason, I can really imagine Dave wanting a drum-off with Animal. I think I need to rewatch the whole episode, because it looked fantastic. And yeah, the puppeteering. The show deserves a technical Emmy. My 14-year-old was in control of the remote while we were watching this, and felt obliged to add her commentary throughout, so I did not get to watch this episode as closely as I would have liked. I feel like I missed virtually all the dialog, but the overall feel of the episode seemed to make a very concerted effort to reconnect with The Muppet Show visually and with the characters. As usual, my favorite part of the whole episode was the scene with the Electric Mayhem in their lair. As far as the puppet work, Henson really pushed through the envelope with the puppets as far back as "Hey Cinderella", so it doesn't surprise me how good it still is and how well they manage the complicated action scenes. They really are marvelous, though. Maybe after I go back and watch the episode again online, I might have some other observations. For some reason, I can really imagine Dave wanting a drum-off with Animal. I was thinking through that whole thing, I don't know whether Dave always knew he wanted to do this, but I know that he always wanted to do this. I loved this episode more than any of them so far. It just worked for me in a way that the other ones often haven't. But Kermit's face is too expressive. It throws me off whenever he wrinkles up. When I saw Steve Whitmire at Dragoncon a couple of months ago, he actually mentioned that he had developed some new facial expressions for Kermit while filming The Muppets, so I don't think y'all are imagining things. Two things. The JGL duet with Piggy is where I learned I need Joseph to be in a traditional 1950s musical. Like Guys and Dolls only way less sexist and weird. Also, so many things in my life have changed since childhood, but that blue, big-nosed weirdo still speaks to my heart. I'm off to find a cannon and a pool of fat water. JGL turned into a young Sinatra so gradually I hardly even noticed. This was a proper Muppets episode, though. The Gonzo plot was perfect, and felt right for the character (particularly his reaction after falling onto craft services), it was the right balance of jokes and performance, without getting too plot heavy, Deadly and Big Mean Carl were excellent as usual, and of course Dave Grohl wanted to do a drum off with Animal- he's old enough to have seen the original Animal/Buddy Rich battle when it first aired. All they need next season is penguins and pigs. On the point of this being a proper Muppet episode - there was no relationship drama, which I think was a key factor in shifting the show away from The Muppet Show. It was all kooky character stuff, dialog and puppeting, no (overt) sexual tension. I liked this episode.